Running on a PC,Smart MDM collects and stores digital evidencce from the RVMs via Multi-unit Charger.With intuitive Graphic User Interface(GUI),you can review,manage,and share data simply and efficiently. Digital Evidence Management Platform collects and stores the digital evidence on a secure network.You can tag an evidence and find it easily through a key word search.For data security,you can assign customized permissions to different users. 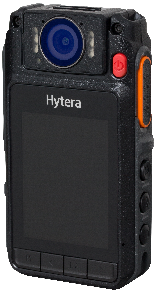 Pairing with the Hytera Multi-mode Advanced Radio,the RVM allows you to make and receive voice communications, initiate an emergency alarm and deliver real-time video to a control center over the LTE network.